Tonga’s Ombudsman, ‘Aisea Taumoepeau SC, and a delegation from the Tonga Ombudsman Office conducted a comprehensive outreach program that received both a positive and highly appreciated reception from Brisbane’s Tongan Community. Located at the Salisbury Hotel on Brisbane’s southside, a key component of the evening was the role and responsibilities of the Ombudsman in the Kingdom of Tonga and the impact the Ombudsman’s recommendations have on government departments and entities. 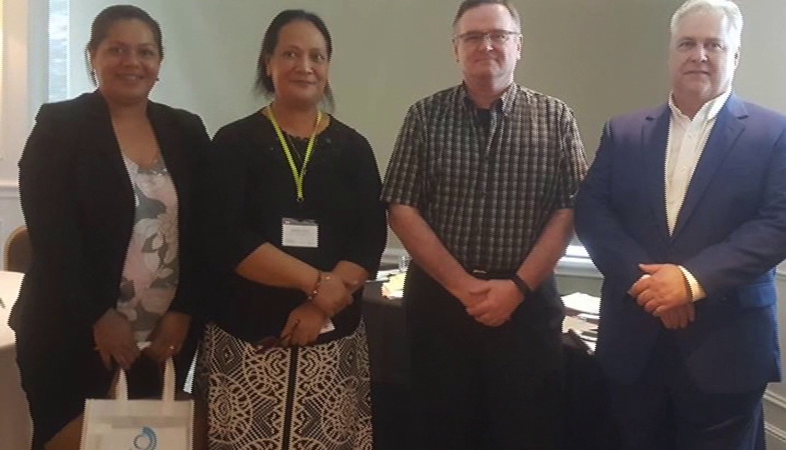 The Ombudsman was accompanied by acting CEO and senior investigator Mele‘ofa Mohenoa, investigator Mosese Uili as well as communications and media liaison, Nanise Fifita. The team also workshopped a Q & A session enabling Brisbane residents to raise common complaints experienced by the diaspora when visiting the Kingdom for short stays, in addition to ongoing concerns about land disputes, customs procedures and immigration policies and how to raise a complaint with the Ombudsman’s office from abroad. Mele Ngauamo secretary of the Brisbane Tongan Community said the visit provided a rare opportunity for their community to engage with the Ombudsman and learn more of their role and how the community in Australia can lodge complaints to ensure improved services for everyone in Tonga. Local community member, Haisini Masima, said his enthusiasm for more opportunities to meet with Tongan Government delegations in the future. He said it is important for them to know what is going on back home in Tonga, because even though they have moved to Australia and have made a life in the country but they are still Tongan with close ties back home. Haisini said they now know the process of raising a complaint and what the Ombudsman can do to investigate it. The Ombudsman, ‘Aisea Taumoepeau SC, the Public Relations Commission was renamed the Ombudsman Office in 2016 after legislative changes were enlivened to provide more transparency and accountability to the public in the efforts to achieve ‘good governance’. The delegation was in Brisbane to attend a regional course hosted by the Queensland Ombudsman Office at the Stamford Plaza Hotel in Brisbane’s Central Businesss District CBD.